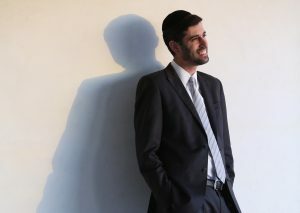 Ari Goldwag is the man behind the hits “Am Echad”, “Kah Ribon”, “Yesh Tikvah”, “Ivri Anochi”, and many others, who recently starred on the HASC stage. The release follows a successful crowdfunding campaign for his new album “Lo Nafsik Lirkod”. Goldwag has worked on the album for over 2 1/2 years, and involved some of the top names in Jewish music. The album includes twelve tracks, all with a positive and optimistic message. 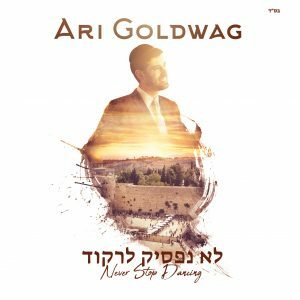 Most of the songs were composed by Goldwag, alongside song collaborations with Yitzy Waldner, Miriam Israeli, Yochanan Shapiro and Dror Kivodi. The songs were chosen carefully together with Yochi Briskman.